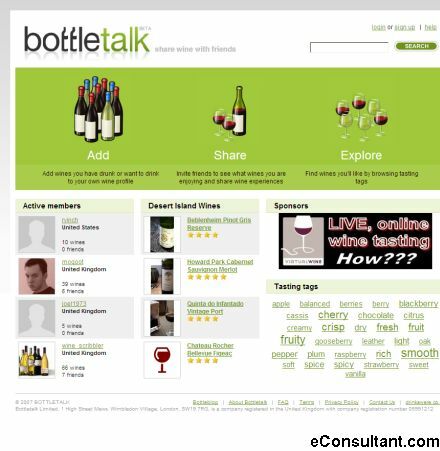 Description : Bottletalk is a free online service for people who love wine. Bottletalk makes it easy to: -store details of the wines you have drunk and what you thought of them in your personalised area. -share your wine experiences with friends, family and other wine lovers. -rate and tag wines for easy reference. -discover new wines you’d like to drink and store these in your wanted section. -buy wines easily from online retailers.